It’s so good to gather around our Meal Plan Monday table with you again this week! We have some great new bloggers to share with you and can’t wait for you to see what all we serve up! 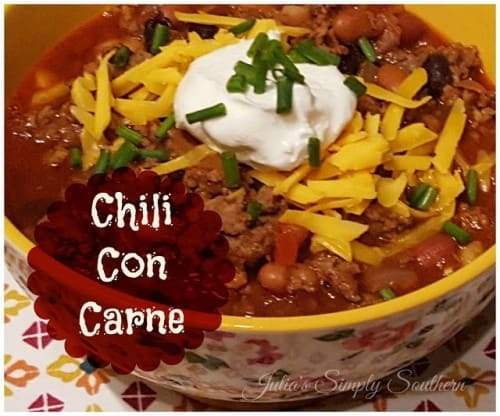 Thanks so much for featuring the Chili Con Carne! As always a great party, thanks for hosting. The apple squares look so good! But…no recipe? Thank you for pointing this out. You have to click on the link (I have included it below in case anyone wants it since I just removed it from the post) to go to her website. Once there, there is a newsletter subscription pop up which covers the entire screen and you have to click the X in the top right corner to exit out of that and see the recipe. I’m terribly sorry about this but it is someone else’s site and I have no control over it. This is the first time I’ve seen this and we will try to make sure we don’t have this issue again on MPM. I’m not sure the blogger realizes it takes up the entire screen. I removed that recipe as a feature and replaced it with another one that is easily accessed. 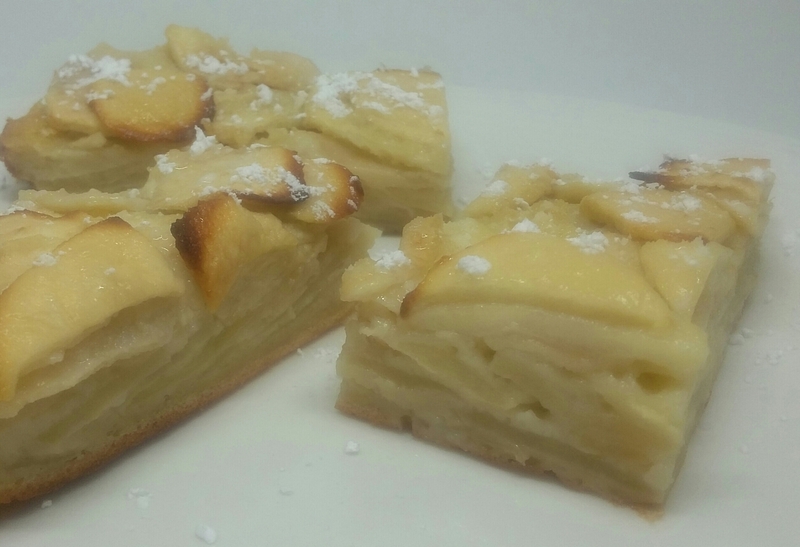 I have tried, several times, to get the custards Apple square recipe. It is covered up with red and you must register for their site. Even when you do that it’s something else, then something else. All I would like is to see the recipe. I too would like to be able to get the apple squares recipe.They look so good but how does one get the recipe? Thank you for pointing this out. You have to click on the link (I have included it below in case anyone wants it since I just removed it from the post) to go to her website. Once there, there is a newsletter subscription pop up which covers the entire screen and you have to click the X in the top right corner to exit out of that and see the recipe. I’m terribly sorry about this but it is someone else’s site and I have no control over it. This is the first time I’ve seen this and we will try to make sure we don’t have this issue again on MPM. I removed that recipe since so many were having problems with it. Good morning! I thought a little after 5 was early but it doesn’t compare to the 2:00 AM for you! Hope you have a great week for your book tour too. Thanks for being YOU! 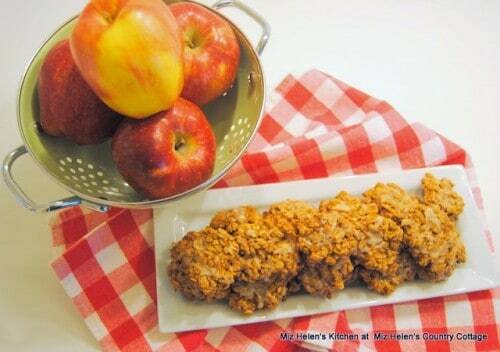 Thank you so much for featuring my Apple Cookies with Maple Glaze, what a lovely surprise that I am so excited about! Thanks so much for the party, I love coming here every week! 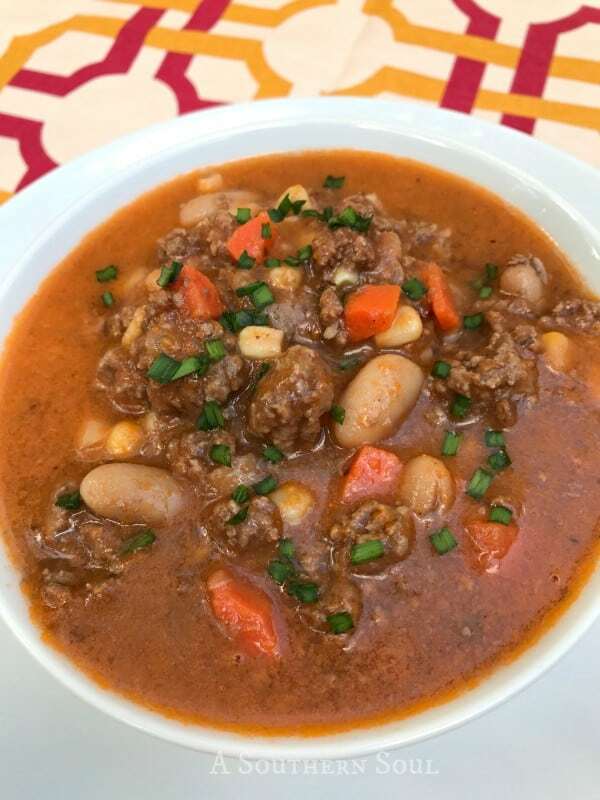 Made the Beef and Bean Soup for dinner tonight. I didn’t have any celery, but added a can of Ro-Tel tomatoes with green chilies and it went really well with a baguette of whole grain bread. Thanks for sharing and for staying away from politics! The answer to it all is that God does have this–for certain. So glad you liked it Bethany! !